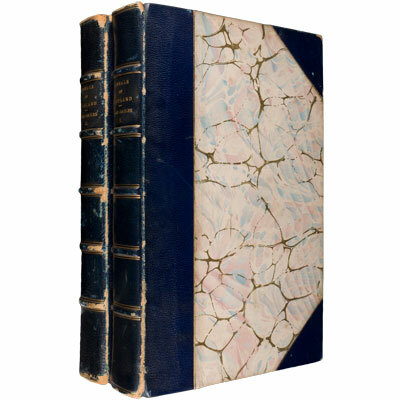 Two finely bound volumes, illustrated with thirty-one plates. and produced on thick paper. 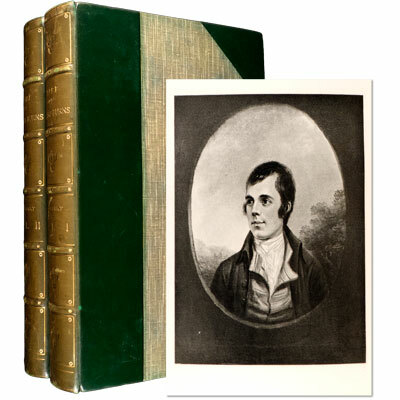 Included is an Essay on Robert Burns by Sir Walter Raleigh, by a Memoir of Lockhart, the Author’s Preface and notes and appendices by William Scott Douglas. ‘Lockhart's Life of Burns, his first sustained attempt in biography, was for a century and more the standard account of the poet and his work. If Lockhart is sometimes limited, he is generally sensible he was born just before Burns died, and had access to men who had seen and known the poet his critical approach is often close to that of the literary world to which Burns, for a time, turned a hopeful eye and his succinct sketches of Burns's milieu and of the men in it, are excellent.’ ‘One of the few judicious and eminently readable biographies of Burns.’ - Professor James Kinsley, introduction to the 2006 edition. Annals of Scotland, from the Accession of Malcolm III, in the Year MLVII to the Accession of the House of Stewart in the Year MCCCLXXI. - Sir David Dalrymple of Hailes, Bart. Two volumes, encompassing Dalrymple’s greatest work, the third volume, which comprised of Dalrymple’s other historical writings is not included. ‘We were now then at Dumfries. During and after dinner, I made attacks upon the whiskey in every possible direction: with and without aqueous dilution – with and without saccharine infusion: but to no purpose. “Disguise thyself as thou wilt, still, WHISKEY, still thou art a bitter draught”*. With or without sugar, or water – hot or cold – still thou art brimstone and fire to-day, and fire and brimstone to-morrow. As it was my first, so it was my last, experiment upon this generally seductive liquor with the Scotch. In the everlasting toddy-potations at Glasgow, I could never be brought to hear my part in brandishing a ladle or emptying a rummer. Even its infusion into the punch-bowl there, though that bowl came fresh and foaming from the “cunning” hand of the good Joseph Hunter, Esq. – even then, the slightest infusion of this pellucid dram seemed, to my palate, to opison the wholeof its contents. “Ah, sir, but you should just live in the mountains a twelvemonth – and then!” – “Execrate it the more”, replied I. My disputant thought me a “hopeless character:” and I bade a longum vale to whiskey. *Substitute “slavery” for “whiskey”, and the quotation is from Sterne. They place very small bottles or decanters of this liquor by the side of a glass, before you; and I believe sixpence will supply you with a portion . . . sufficient to make your head ache for a week. It is poetically called “MOUNTAIN DEW” !’ [Volume II page 446]. 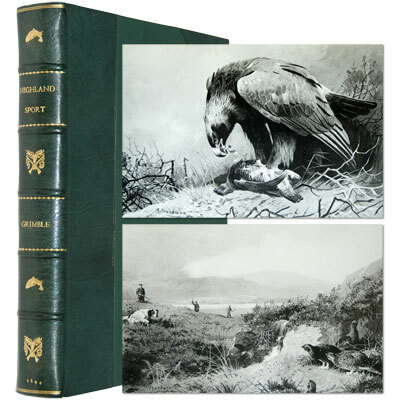 Six works finely bound in seven volumes, of this first and still comprehensive collection of the Scottish poets, combined with Eyre-Todd’s biographical details for each poet, and historic notes, glossary and essays. Which on publication the Spectator praised as ‘a useful and indeed a valuable contribution to the history of Scottish literature’. The six works are - The Early Scottish Poetry, ; Medieval Scottish Poetry, ; Scottish Poetry of the Sixteenth Century, ; Scottish Ballad Poetry, ; Scottish Poetry of the Seventeenth Century, ; Scottish Poetry of the Eighteenth Century (two volumes) . Amongst the numerous poets included are - Thomas the Rhymer, John Barbour, James Beattie, Robert Burns, William Falconer, Sir David Murray, Alexander Scott, Androw of Wyntoun, Henry the Minstrel, Henry (the Minstrel), King James the First, Robert Henryson, William Dunbar, and Gavin Douglas. This collection presents the best works of about one hundred Scottish poets, from the earliest times up until the nineteenth century. The poems are carefully selected and reproduced from the best editions. Arranged by period and genre, each volume contains an historical introduction, and biographical details are given for all poets. In addition, historical notes are supplied for relevant poems and a selective glossary is provided. Combining the poems of nobility, men and women of the Scottish Enlightenment, plus historical, legendary, and romantic ballads, these attractively presented volumes form a comprehensive reference library for those both new to, and familiar with, Scottish poetry. - from the introduction to the 1997 Routledge reprint. This remarkable work contains forty-eight engraved plates of Scottish Landscapes and buildings etched by James Fittler (appointed engraver to King George III) from drawings by John Claude Nattes, each one accompanied by a detailed historic description. In addition to the more well known locations of Edinburgh and the Scottish Highlands, Nattes included places such as Aberdeen, Banff, Moray and Inverness. 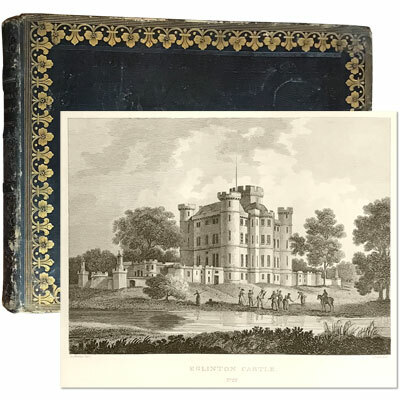 In a contemporary binding (35.5 x 29 cm), also illustrated with engraved frontispiece, additional engraved title page, and engraved tailpiece. George MacDonald Fraser wrote The Candlemass Road after completing his research and writing The Steel Bonnets, his non-fiction account of the Anglo-Scottish border Reivers. In this work, firmly based on historical fact, Young Lady Margaret Dacre was brought up in the genteel fashion at the court of Queen Elizabeth I. When her father is murdered, she inherits his lands in the English West March and is plunged into a world where violence and raiding are commonplace. Fraser’s characters are, as always, richly developed through vivid descriptions and witty dialogues. His novel is true to the spirit of the Anglo-Scottish frontier feud. ‘Power, lust and survival in the lawless border country... vivid... perfectly paced.’ – Independent on Sunday. Fifteen years later G.M.F. decides to expand on his original Candlemass plot to produce a book he refers to as ‘Nonsense’ and one that ‘might be described as an Octogenarians rebuke to a generation that seems to have forgotten fun and become obsessed with misery, Disaster, illness, operations....’ (here ensues a long list). ‘The Reavers is simply G.M.F. taking off on what a learned judge would call a frolic of his own.’ This leads to a 16th-century tale of swordplay and gleefully anachronistic wordplay along the Scottish borderlands. A tortuous and torturous tale of four heroes: Gilderoy, dashing Scottish highwayman; Archie Noble, gallant Englishman and proud double-nought operative, licensed to slay; and a beauteous pair of ladies, the noble Lady Godiva Dacre and her randy companion, Kylie. Together the four must stop a Spanish plot to kidnap and replace James VI of Scotland with an impostor who will then gain the English throne on the death of Queen Elizabeth. They must overcome wizards, witches, warlocks and sundry other hazards while Archie and Gilderoy vie for Godiva's fickle affections. This was G.F.M.’s last novel, a massive wink to the world, with his tongue so firmly in cheek, it is a surprise he could actually sign this copy without collapsing in a fit of laughter.